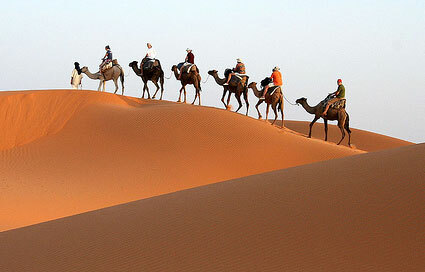 Day 1: Arrive at Marrakech, reception by our staff and then to your hotel. Day 3: In the morning we depart Hanedour. 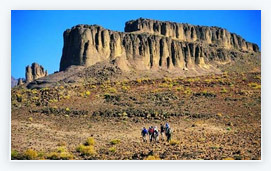 In our sights today we visit, Assif n'Igue, Oasis Tifdassine, Irhazzoune n' Imlass makes a nice camping spot. 5hr walk. 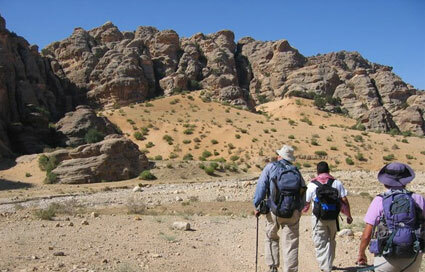 Day 4: Today we go through Tifdassine, Valley Amguis, Bab n'Ali, Ousdidene, then camp at oasis Boualouz 5hr30min walk. Day 5: We visit, Oasis Bouallouz, Valley Afourar, Oasis Igli, we will camp at Falaise Tassigdelt, at 2000m. 5hr walk. 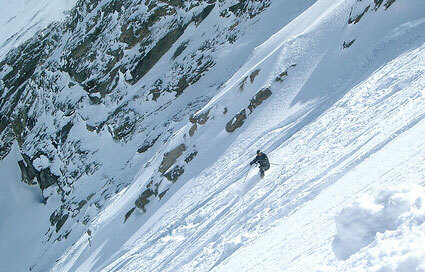 Day 6: Today we visit Tassigdelt, Col Tassigdelt at 2200m, Sommet Kouaouch at 2600m, in Almou n'Ouarg we camp at 2300m. 5hr30min walk. Day 7: We leave Almoun Ouarg to visit Iferd at 2450m, then to Tislit n'Ouzerzam, Allili, Plateau de Tagdilte, Valley Dades, Ouarzazate back to Marrakech at 350 km. 6-7hr walk.